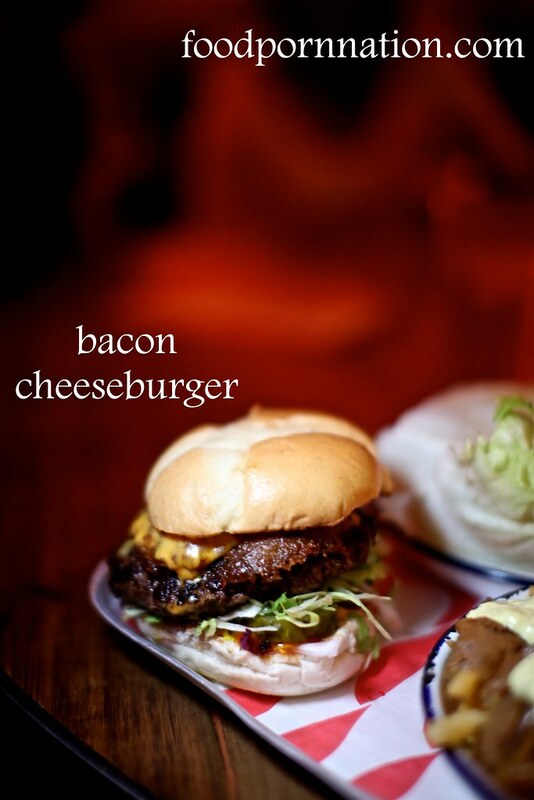 MEATliquor located in Marylebone has caused quite the stir with it’s epic queues, no bookings and dress code policy. That is no ballet flat and no suits. Line up behind the barricade and wait for the bouncer to let you in. Expect a hell raising bikey club upon entry but the venue is staffed with surprisingly friendly folk that embody that all round American customer service experience. The venue is dark, dingy and I’m pretty sure sticky. The music is banging out rock anthems at about 150 decibels too high, staff are heavily tatted up with the ceiling/walls intricately masked with graffiti murals. The food is an all-around American junk food tribute to hot wings, mac n cheese, cheese fries, hot dogs and their mains are centred only around burgers. 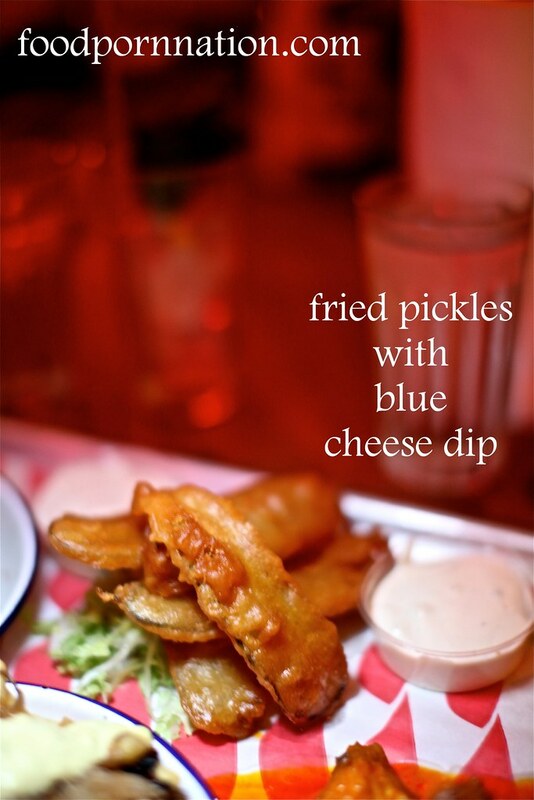 We tuck into the fried pickles (£3.50) and it offers a sharp tang of vinegar and contrast of a crisp crunchy batter. The interplay of the gooey pickle against the fried batter is really special and is immediately our top pick of the night. The blue cheese dip is really flavoursome and very authentic. This is exactly as you would find it in the USA. Thick, creamy and lush. I usually find it very difficult to find a blue cheese dip this good anywhere outside of the States and this is authentic it comes. 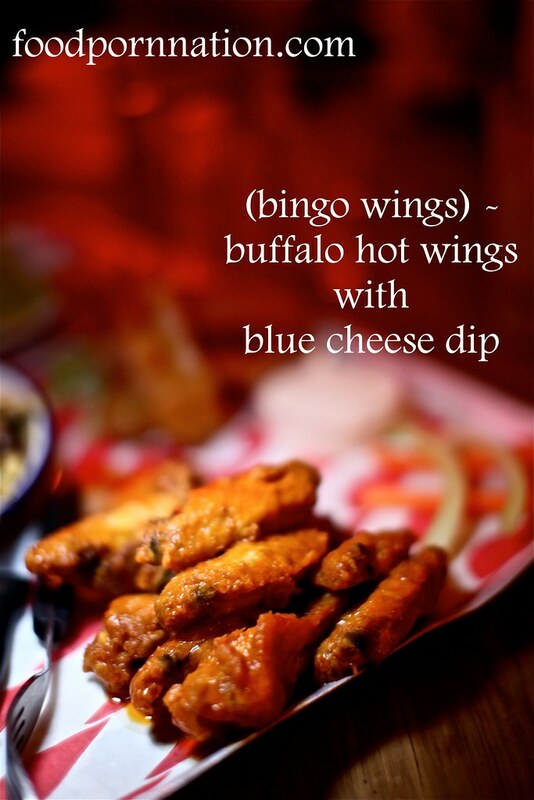 These Bingo – Buffalo Hot Wings (£7.00) are as gutsy as it gets. These wings mimic the Louisana Deep South Wings flawlessly. Crunchy then coated with hot sauce then served with an authentic blue cheese dip. These can not be beat. When I am in the States, I am an absolute sucker for buffalo hot wings. They are my absolute ‘go to’ dish and these are spot on.